AirVenture is looking to be a memorable week in every way. A row of beautifully restored Cessna 195s greet the day. The military version, the LC-126, was a popular transport for the brass after WWII, though it was soon replaced by faster options. Photo by Jim Koepnick. 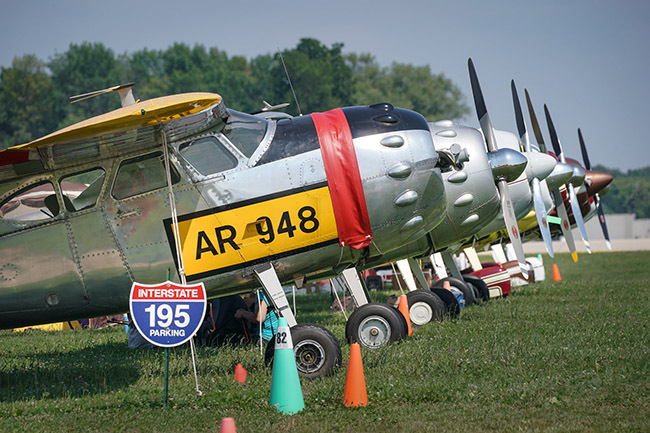 For years the first day of AirVenture has been Monday, and that works only because everyone attending spends the weekend prior traveling and gearing up for the show. Because of the low weather across much of the Midwest over the weekend, there were relatively few arrivals until Sunday mid-afternoon. But when planes did begin to arrive, they showed up in droves, and there were some interesting ones too. This is a special Oshkosh (as though they’re not all remarkable in their own way). This year there are several big themes, including commemorating the 100th anniversary of the Royal Air Force and a celebration of military tankers. 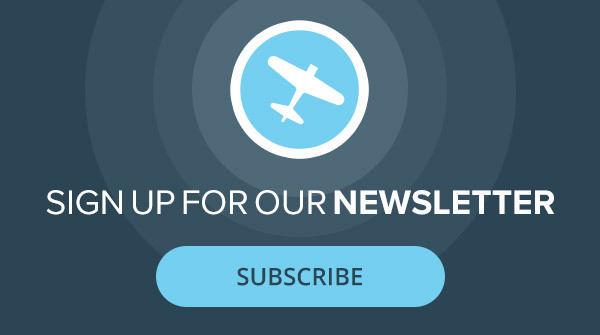 This goes along with the night airshows, the opening night concert and much more. Click the button below to view more photos from the first day at EAA AirVenture Oshkosh 2018! There is nothing better than the sound of the P-51’s engine.